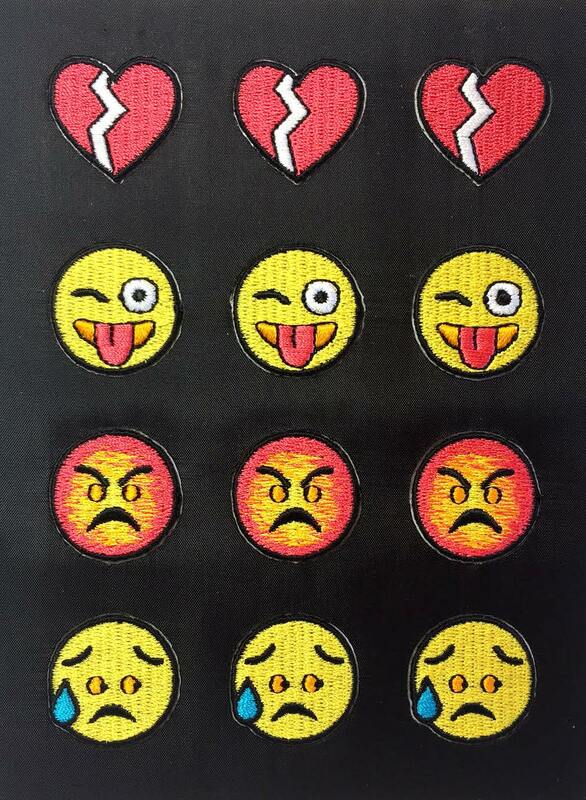 OMG, we've been invaded by emojis! 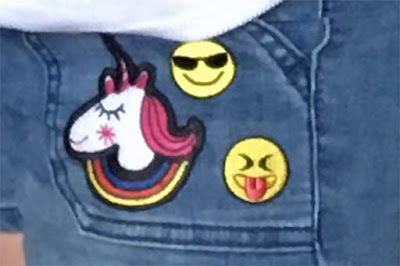 Emojis are showing up everywhere, especially on clothing! We started with a plain, very plain pair or shorts and packages of emoji iron-ons. 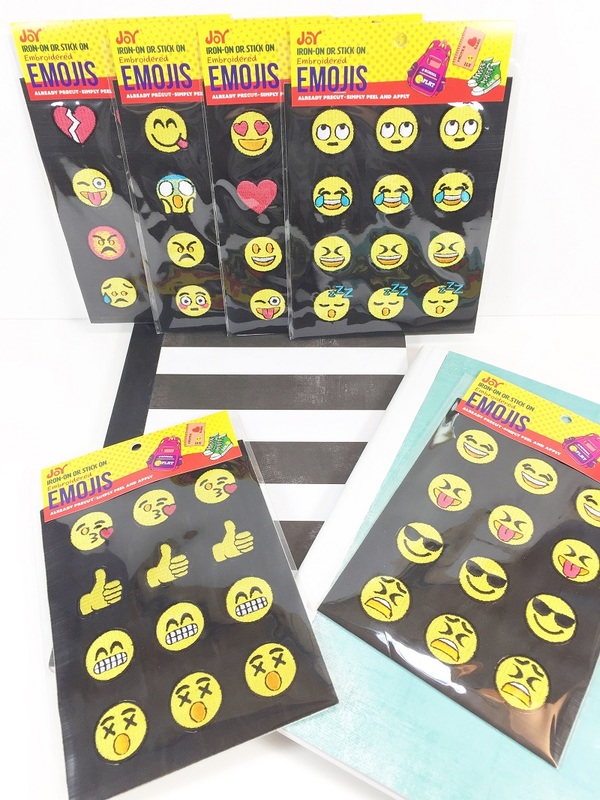 Each package has 4 different emoji styles - think of all the other clothes she can embellish.....! 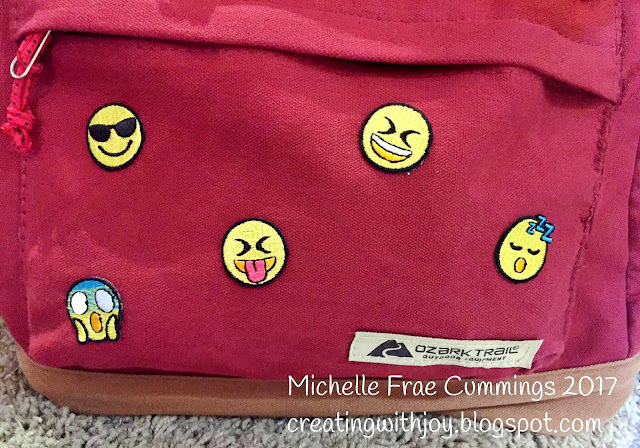 Following instructions on the back of the package, we ironed emojis onto the front and back pockets of a plain pair of shorts together with a couple of other things she found. 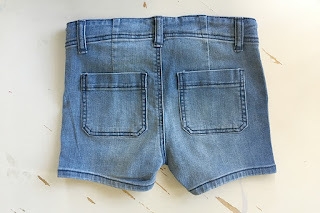 In a matter of minutes we turned a plain pair of shorts into a very special item for her wardrobe. Quick'n EZ, just like I like it! 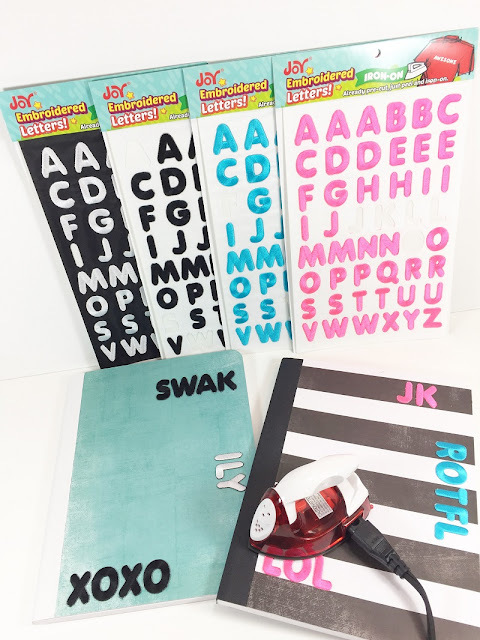 You can find Joy iron-ons at your local craft retailers together with a wide range of iron-on letters, numbers and monograms in a variety of colors and sizes. 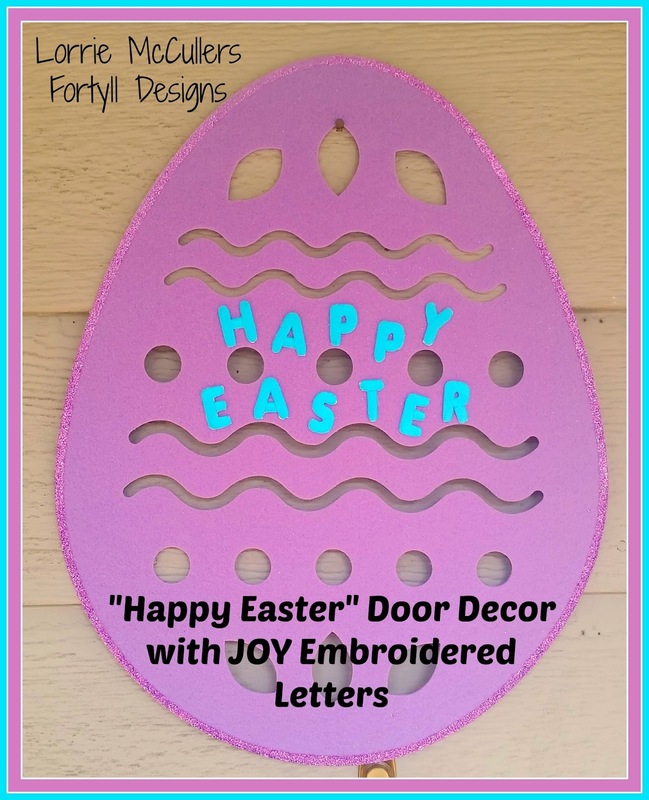 I love decorating my doors - these extra-large script letters really make a bold statement for the entrance to any room. 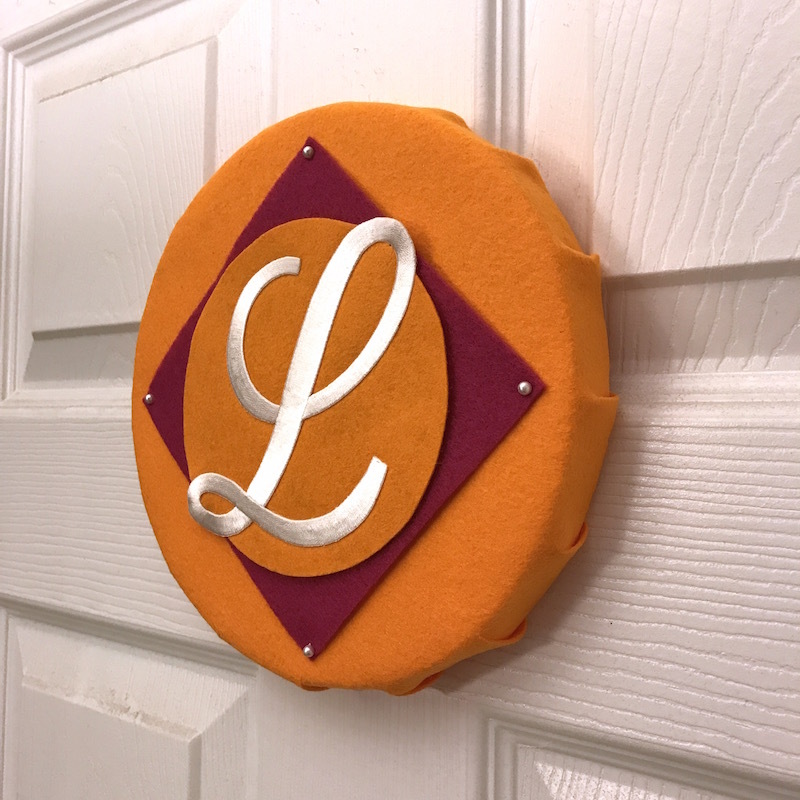 Of course, a monogram plaque is perfect for a bedroom - and the texture of the embroidered letter against thick, wool felt is luxurious. 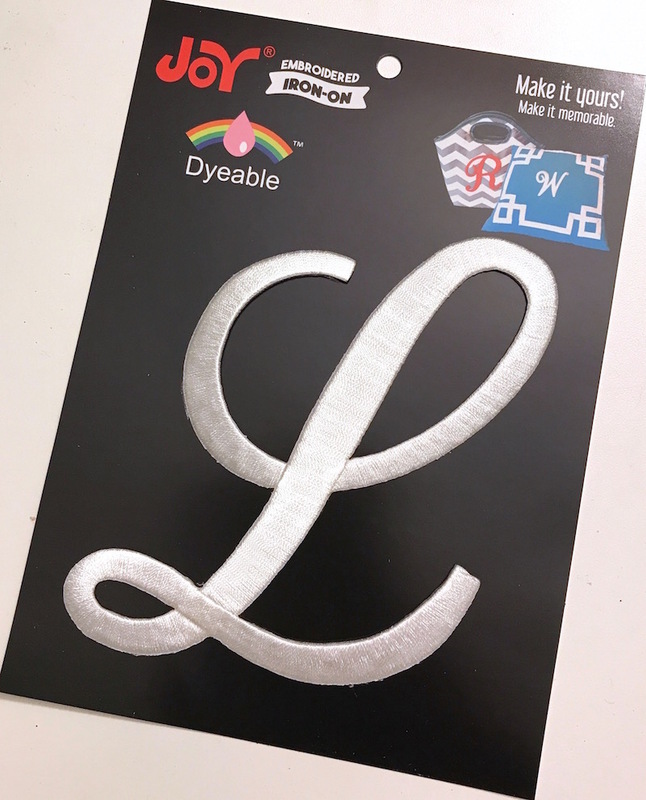 I like how the white pops against my bright orange felt, but these embroidered iron-on letters can easily be dyed to whatever color you like - with fabric dye or ink spray. Cut a circle of felt 2-3" larger than the disc. 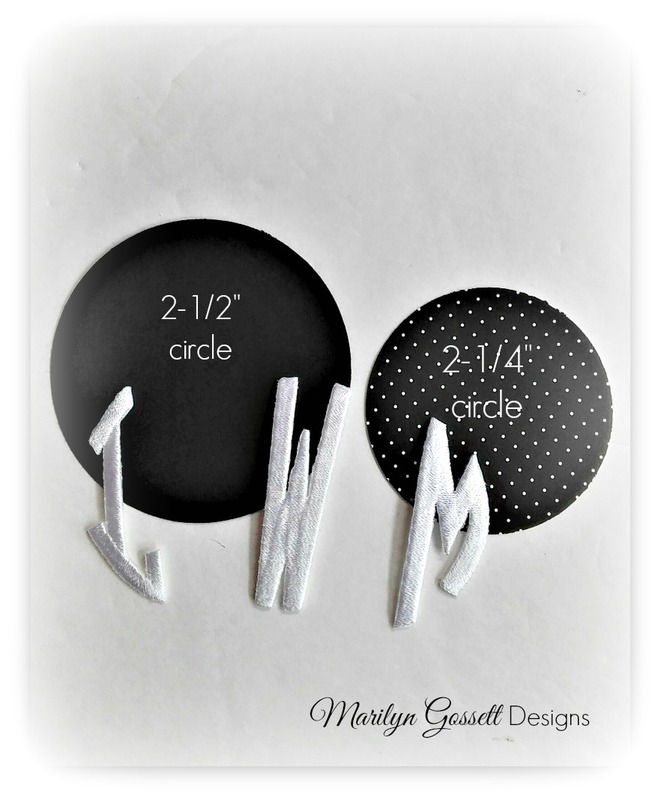 Cut tabs evenly around the perimeter of the circle, then place the disc in the center. 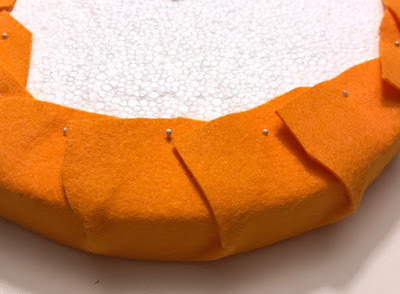 Wrap and pin each tab snugly around the disc and pin in place, creating small pleats around the edge. 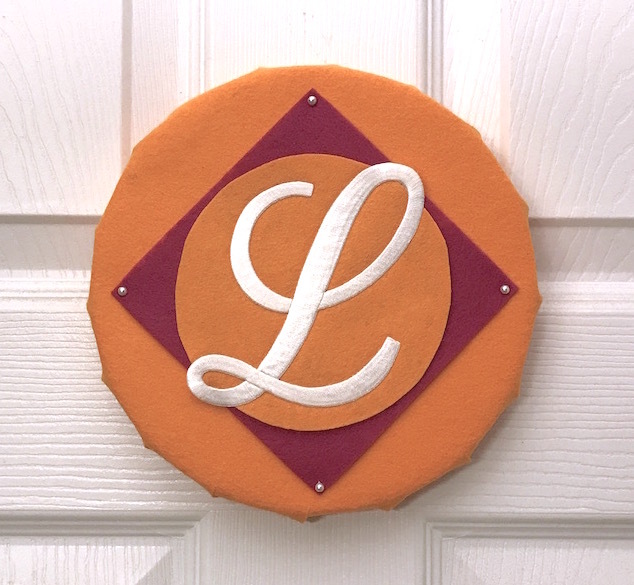 Cut a smaller circle of felt and iron the letter to the center of it. If you plan your design such that some of the letter hangs off the circle, use a sheet of non-stick parchment paper below the circle so the exposed parts of the letter don't stick to your ironing board. Use parchment on top too, so enough heat seals the letter without scorching the wool. Cut a square of felt a bit larger than the circle from a contrasting color and pin it to the front of the plaque. 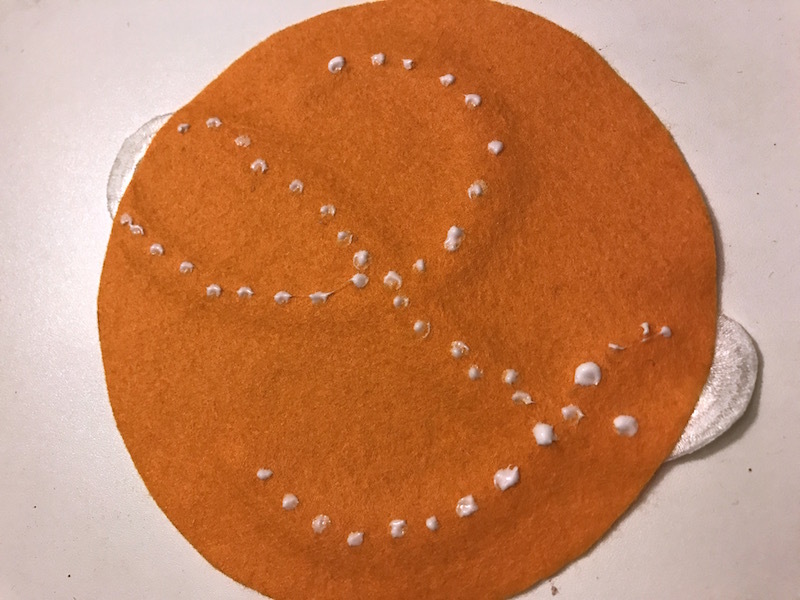 Dab glue on the back of the circle, placing it where the letter is to prevent seeping through the felt. Wool felt is nappy enough to stick to itself pretty well, so you only need a little glue to anchor. Pin a small loop of ribbon to the back for a hanger. 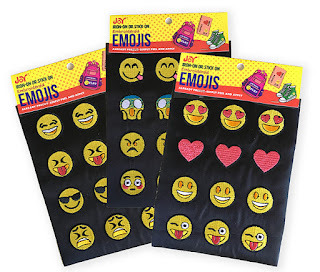 I have to say that I am just IN LOVE with the new Joy Embroidered Emojis and Bubble Letters - they make me swoon! 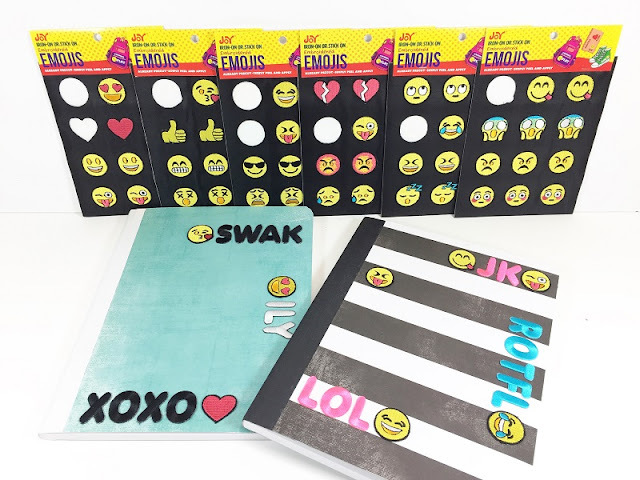 My 13-year-old niece fell in love with them too, so on a recent visit, we crafted up these quick and easy emoji journals - one for her and one for her best friend! Glue scrapbook paper to the cover of a composition book with a strong adhesive. 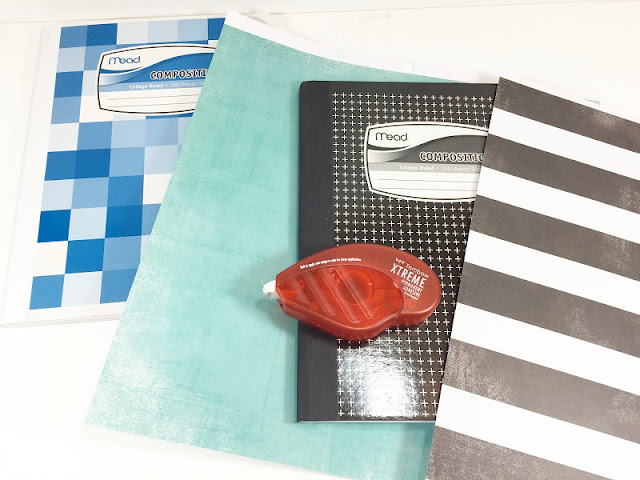 Open the cover and trim away any excess paper - this saves the measuring step! 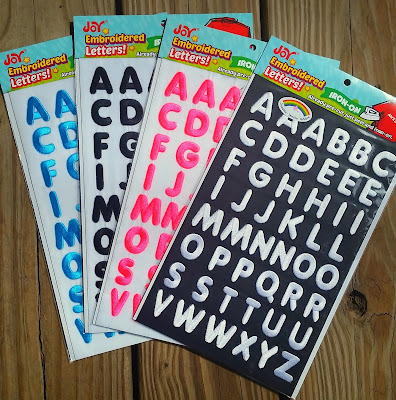 Pick out your Joy letters to spell the text abbreviations you want to use. We used the black and white letters on the turquoise journal and the pink and turquoise letters on the black-striped journal for the most contrast. Line up the letters so they are straight and iron them on your journal cover according to the directions on the package. I use a small craft iron because it doesn't have any steam holes. 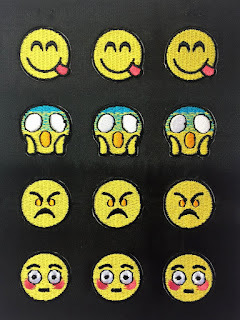 Pick out your Joy emojis - this is the really FUN part! 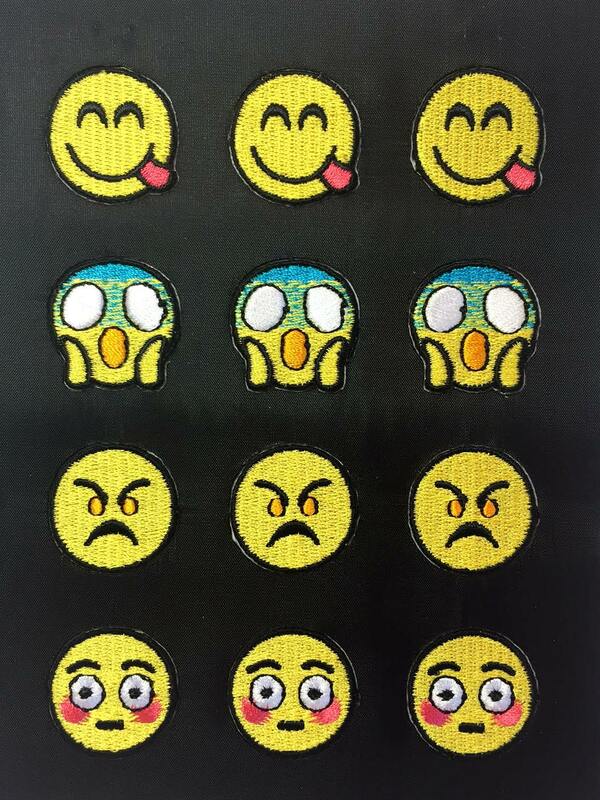 There are six different packs of emojis to select from and each pack includes four different designs. 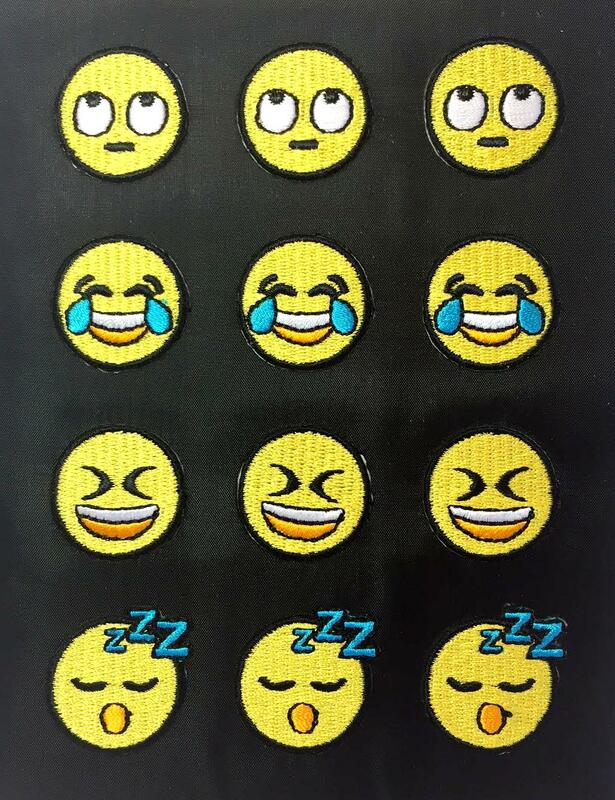 The emojis can be applied in two different ways - either peel and stick (reinforce with glue as desired) or iron-on for extra durability. 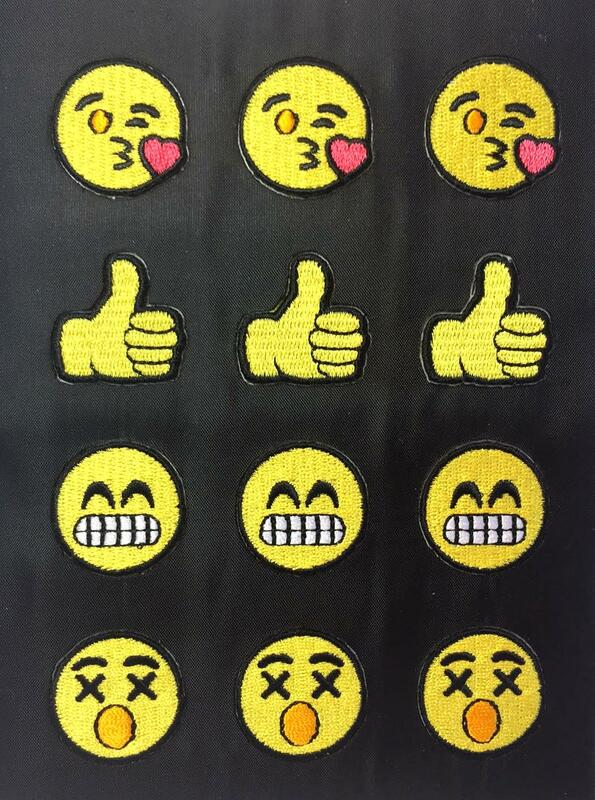 Here is a close up of the emojis - I give them ALL THE HEART EYES! I hope you will use our quick and easy Emoji journals as a jumping off point to start "creating with Joy!" 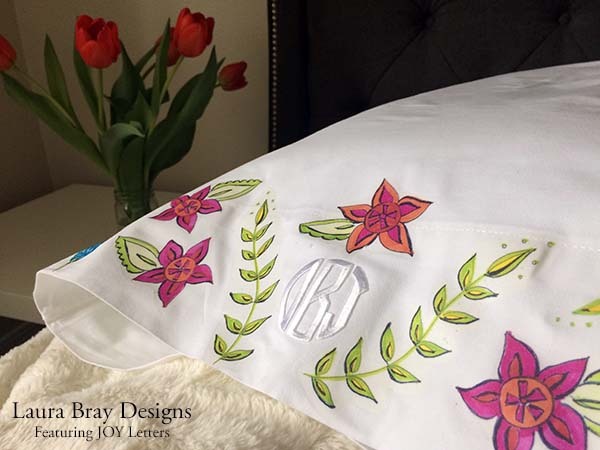 Joy Embroidered letters and symbols are an excellent way to personalize anything and everything - the possibilities are endless! Share YOUR projects on our Creating with Joy Facebook page. 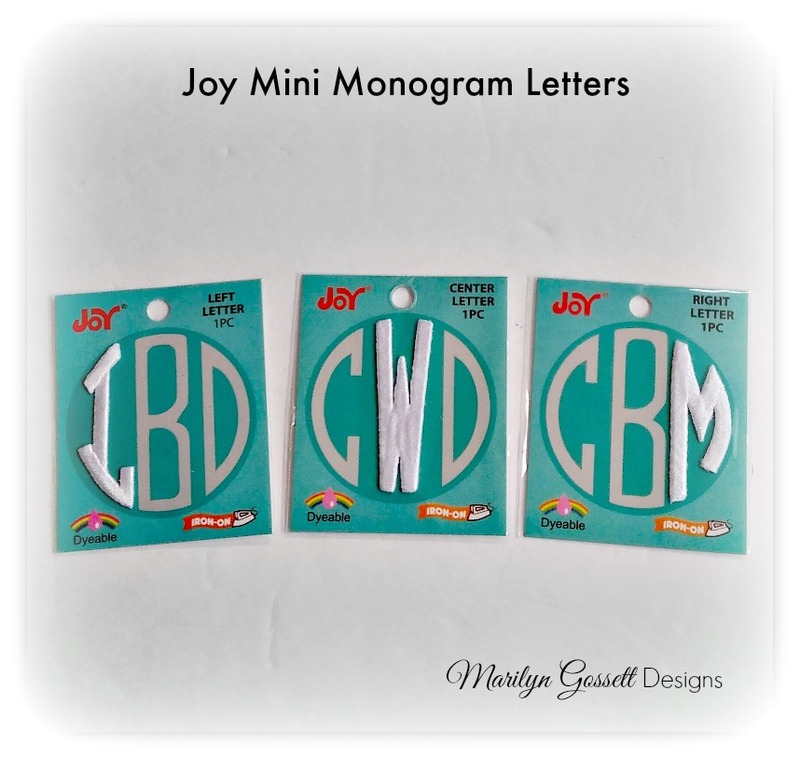 Monogram letters add a classy touch to wearables, gifts and home decor! 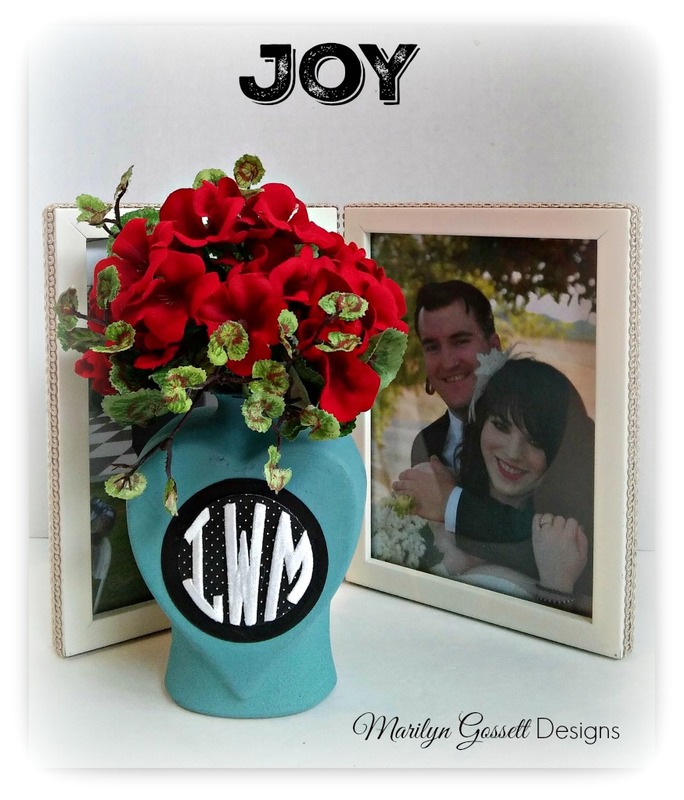 I used some of the new mini monogram letters in honor of Lauren and Matthew White's wedding. I added some joy to a photo that commemorates their special day and adds a pop of color to my space. After etching and painting a heart-shaped glass bottle, I punched some circles from coordinating cardstock. I glued the monogram letters to the layered circles and then to the front of the bottle. I topped it off with a small bunch of colorful silk flowers. 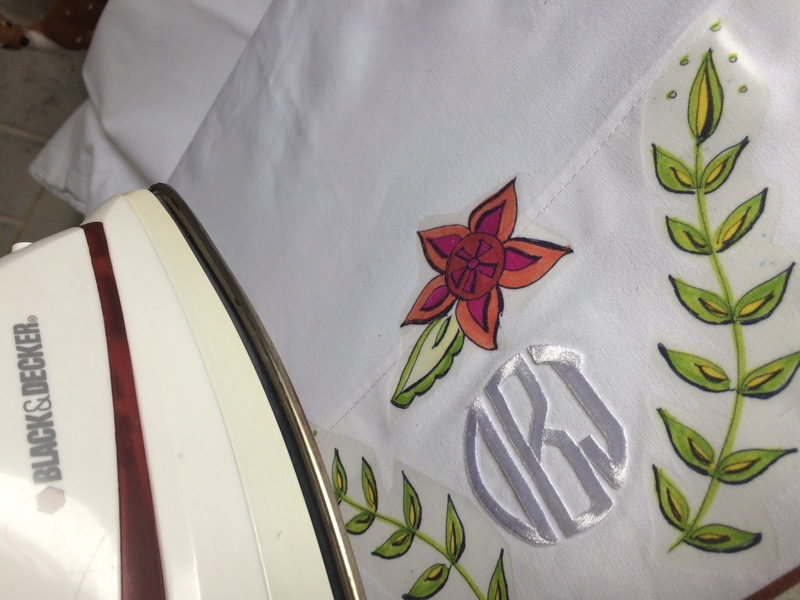 If you use fabric instead of paper for your circles, you can iron on the monogram. 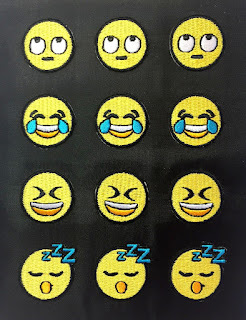 Emojis are all the rage now that most kids are using smart phones, social media and text messaging...my son, being one of them. He's in the 7th grade and I often find him drawing these characters on his school papers. 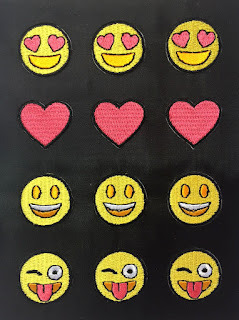 So I thought it would be nice to surprise him with a little bit of fun on his backpack. He loves it and says his friends like it too! 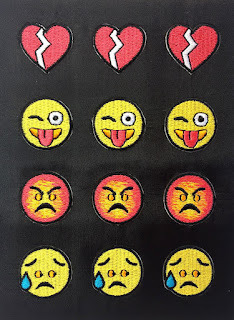 The nice thing about these emoji iron-ons is that they can used like stickers, too -just add a little glue for permanent adherence on any surface. 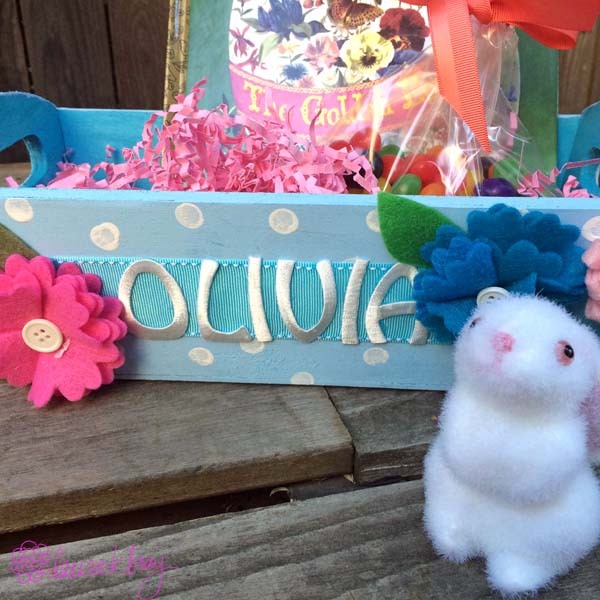 You can find them at your favorite craft stores - fun! 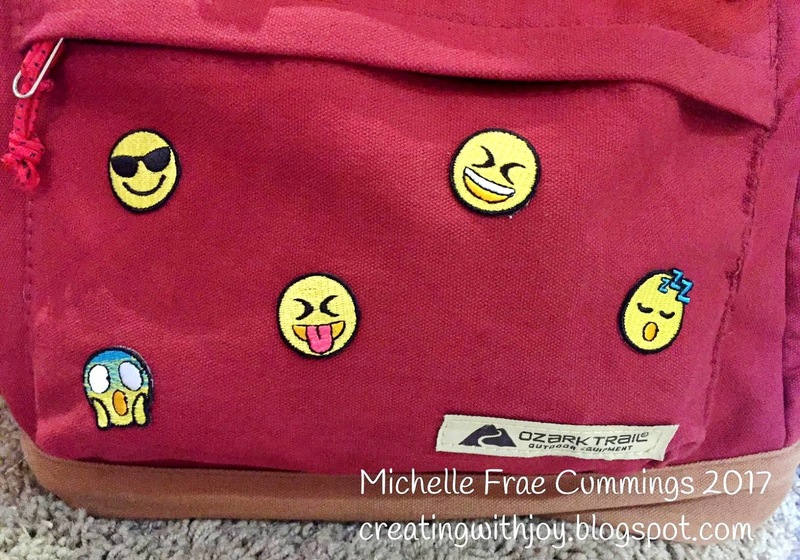 Place your emoji on the backpack and cover with a pressing cloth. 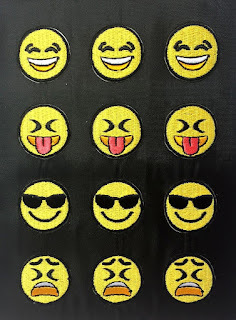 Press your hot iron on the patch for 10 seconds, then repeat 2 more times. 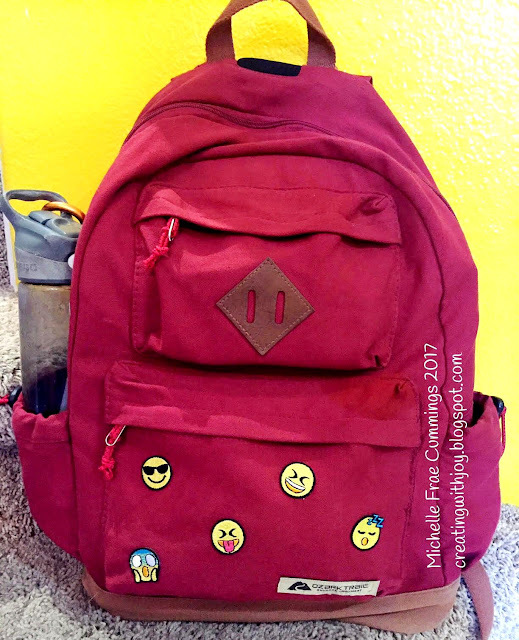 Be careful not to touch the backpack with the hot iron without the cloth - the high heat may discolor the pack. This project is a modern take on vintage-style pillowcases. 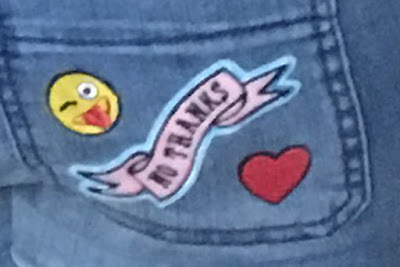 You know the ones with embroidered monograms and flowers? 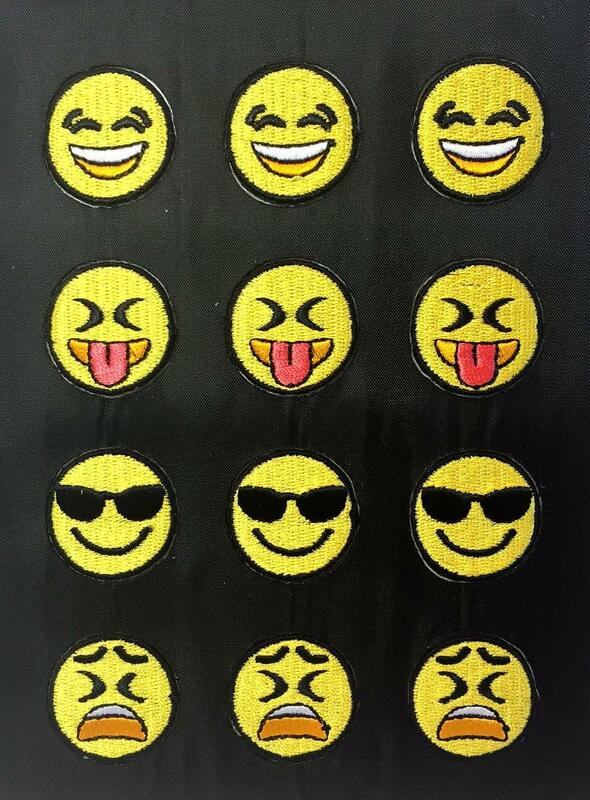 Who has time to embroider all that? Just use Joy iron-on letters flowers and you'll have a beautiful, personalized pillowcase in minutes. 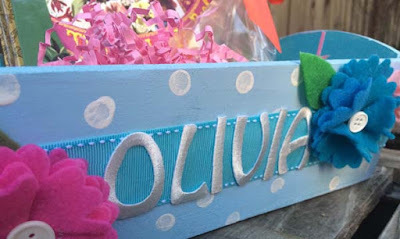 Center the Joy letters onto the pillowcase edge, then follow the instructions on the packaging to iron them into place. 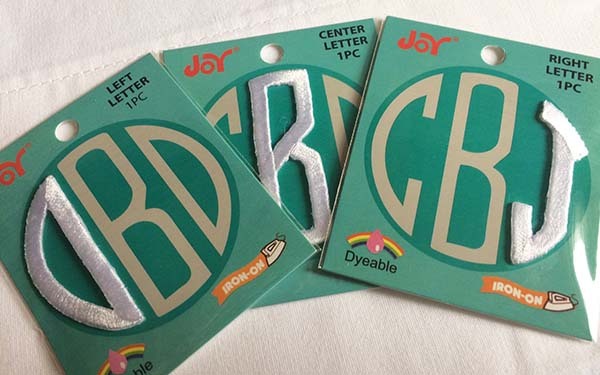 When creating monograms, here's the order for the letters: First Name (left), Last Name (center), Middle Name (right). Designer Tip! I used the white monograms as is for a subtle look on my white pillowcase. 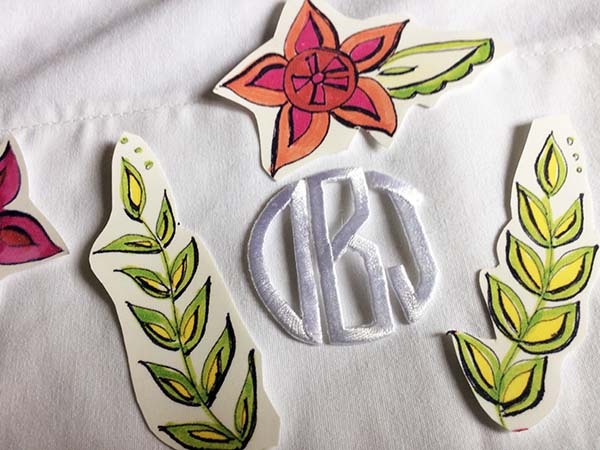 If you want something that is bolder, you can dye the monograms any color you want! Arrange your iron-on flower images around the monogram. 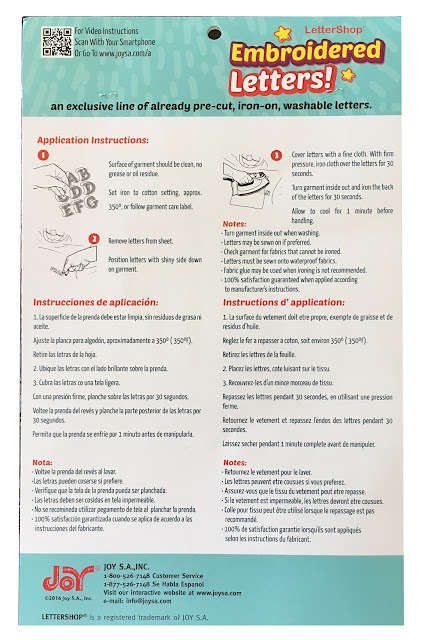 Follow the instructions on the transfer paper packaging carefully to ensure that your images transfer correctly. And that's it! To care for your pillowcase, be sure to wash it inside out with the gentle cycle in cold water, then let it air dry. I hope you'll try this project out. 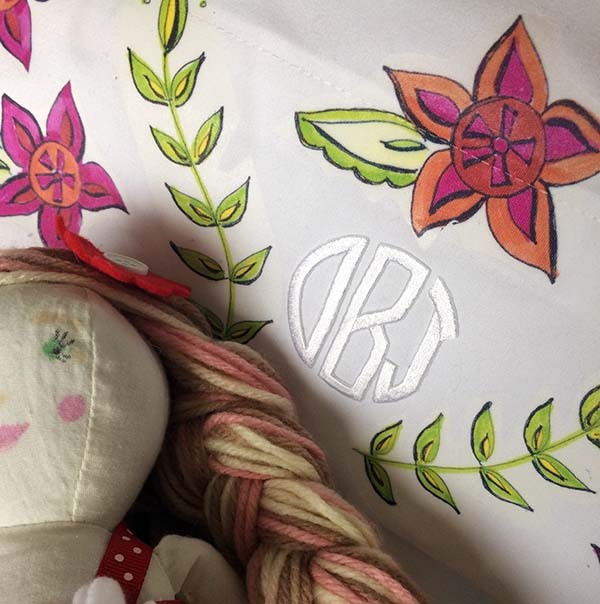 Special pillowcases like this can become family heirlooms filled with meaning. 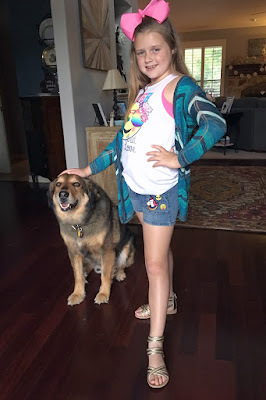 To read about my memories of pillowcases and childhood summers, visit this blog post. With babies, sometimes you only get a small window to get the shot you want. 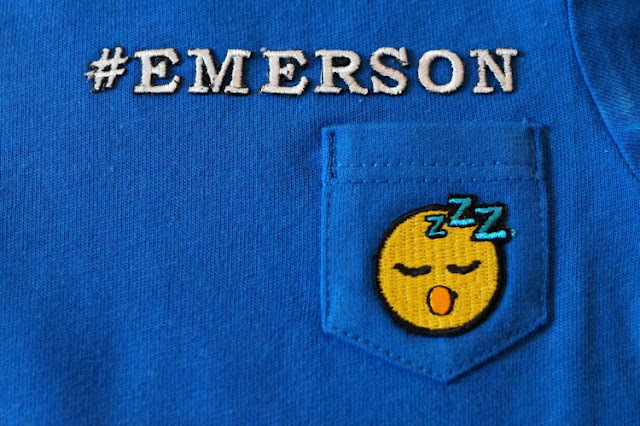 The plan was to take a picture of him sweetly sleeping while wearing the shirt with the sleeping emoji. But as soon as we put the shirt on him, he was wide awake. Once awake, we got all kinds of scrunched=up newborn faces. 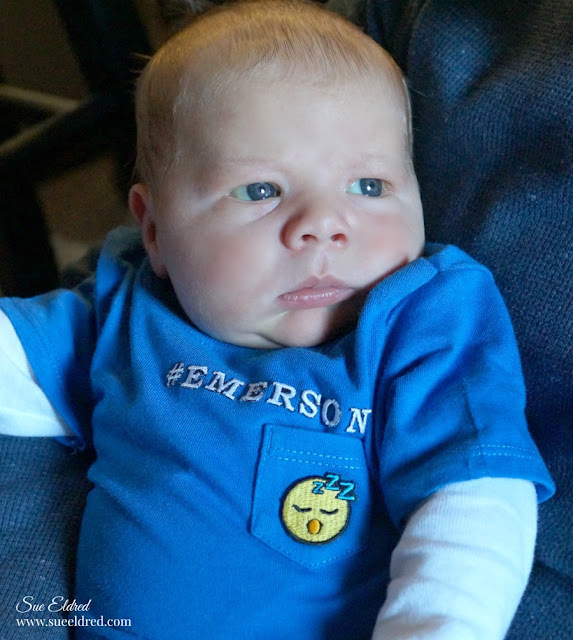 I finally got this sweet little picture of him sitting comfortably on his daddy's lap. I got a kick out of these new iron-on emoji patches from Joy - they fit perfectly on an itty-bitty pocket, too. 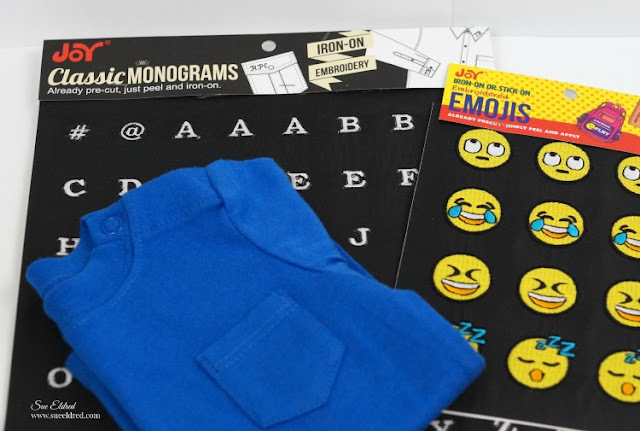 So easy to use - just position letters and emoji in place on the tee shirt, cover with a thin white cloth and iron on. Make sure to look for these new patches at your local craft store. Give your front door some springtime flair with this cute Easter egg sign...get ready for Peter Cottontail! 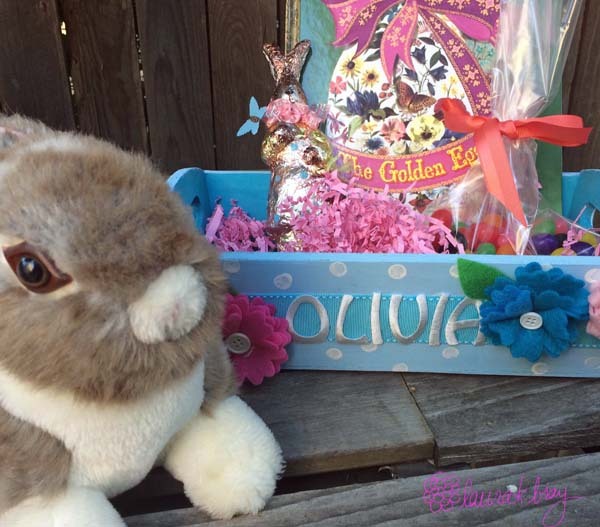 While out shopping, I found this adorable felt Easter egg. 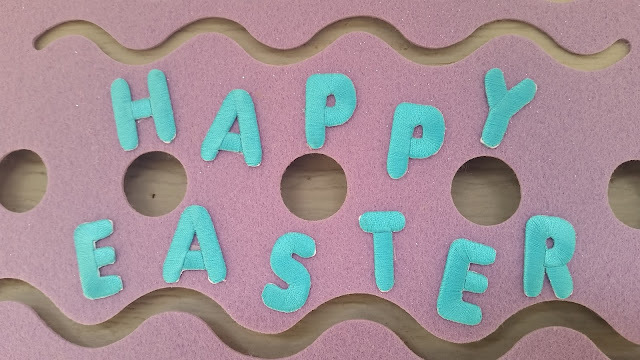 I grabbed some new Joy Chunky Block Letters and made it a little more "egg-stravagant." I ironed on the blue letters to the felt, quick and easy. The purple and blue just look so springtime fresh together!